Software Technology Group | Welcome to Our Blog! The average software engineer takes politics in the same light as the zombie apocalypse: no good will come of it and if you see it coming, … run away … leave no trail. The issue is that projects are a combination of tasks to complete and stakeholders to be taken care of. A successful project can fail though all the components are working. A project that ends with an unhappy client is not a successful project. The task of a mature Project Development firm is to set expectations, to involve the stakeholders in the process, and to deliver a product that hits on all the required functionality. This may sound as though exceeding expectations fails the process, but from the side of the Project Development firm, exceeding expectations should be a considered component of the delivery: icing on the cake to entice follow-on work from the client. 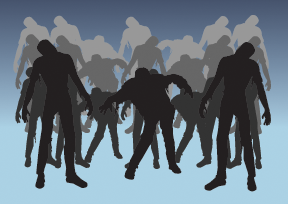 So how does a Project Development firm take care of the zombie apocalypse and ensure all engineers starting a project are amongst the living when the project ends? It’s a product of engaging the client, navigating personalities, setting process and ensuring communication. And back to the story. The best way to ensure success is to have traveled the road before. The successful Project Development firm must develop process for the engineering and business expectations and understand how to alleviate issues with both. There are many documents and processes available: we at STG support Agile process, CMM, Rational Unified Process and IEEE. The Software Technology Group is a project oriented software consulting firm, established in 1992, in the generation when body snatchers were common and zombie infestations were unheard of. And to summarize, we understand the zombie apocalypse, we have seen the zombie apocalypse, and to date we have a stellar track record of successfully averting the zombie apocalypse. And we’re more enjoyable to work with than other companies. What has been my favorite software project? They’re all good, but as they say, … some are even better than others. My favorite project has been a fruit-fly robotics project. At some of the genome companies they do their research on the short life-cycle fruit flies, so the researchers can see results quickly as they manipulate the fly genome. This, … to someone with an electrical engineering degree like me, … is as good as it gets. We at STG live for the project: to create a solution that exceeds expectations and to be brought in on support that improves the quality, health, well-being and ROI of our clients. We are a company of programmers and people with engineering degrees with the ability to move in most any direction: web development, portals, mobile, embedded systems, application development, robotics, biomedical systems, nanotechnology, QA …. We very much look forward to working with you. Two and a half days into the third mission to land astronauts onto the surface of the moon, the crew of Apollo 13 experienced what could arguably be the defining moment in the heroic events of space exploration. The event became classified as a “successful failure,” that strengthened the image of a technologically advanced United States, which could handle great events and overcome great adversity. Astronauts are considered the epitome of a life devoted to learning, exploration, and adventure. An astronaut embodies our noble aspirations to be better than we are and to search for meaning in great deeds and selfless acts. And the astronaut was the face of the space effort, but the individuals supporting the space program run wide and deep. Even the casual viewer, taking part in the viewing of the event feels a part by seeing themselves, even peripherally, as supporting something so much bigger then themselves. Spaceflight is a momentous event sandwiched between a controlled explosion and a fiery re-entry. The image is doing the impossible through the accomplishment of a seemingly infinite series of smaller tasks. This is not a lost art or a technique unique to aerospace. In fact it is not a practice founded solely in science. Through the act of thinking beyond one-self, through thinking that one’s own efforts can allow someone else to reach beyond their own reach, through becoming the instrument that enables others around you, … that is the full connotation of success. Only few become astronauts, but I argue that it is equally the breadth of effort to make this a better place for others that truly defines what is good. The path to success does not always allow us to reach the moon. We wish to achieve material wealth, to acquire items, to live well, but truly some very simple acts are all that is truly required. Our days are filled with an infinite series of small tasks that get us through our day. And it is through these acts, by becoming self-less, by thinking beyond oneself, by allowing those around us to reach a little farther … that is truly humanity at its best. But more so, the world needs those who think beyond themselves and who, for some time during their day, seek their own means of being there for those around. Apollo 1 was a sad tragedy. The launch rehearsal changed the course of NASA when on January 27th, 1967 a flash fire swept through the command module. Within minutes of the fire the hatch was opened with the sad realization that all three had died of toxic gas inhalation. From the book Calculated Risk, it appears that Gus Grissom had worked to depressurize the cabin and broke two of the valves in his unsuccessful try to deprive the fire of oxygen. The astronauts worked, but unsuccessfully to open the hatch and affect their escape. It is sad but telling that amid lethal conditions the astronauts bent to their training and died being the professionals and heroes that astronauts are. The Accident Review Board determined the cause of the fire was an electrical arc in a wire harness in an equipment bay. The crew cabin was filled with pure oxygen that was a design option that saved weight by not producing a more complex system to mix oxygen and nitrogen. The wire bundles were wrapped by machine and had potential for fraying and shorting. 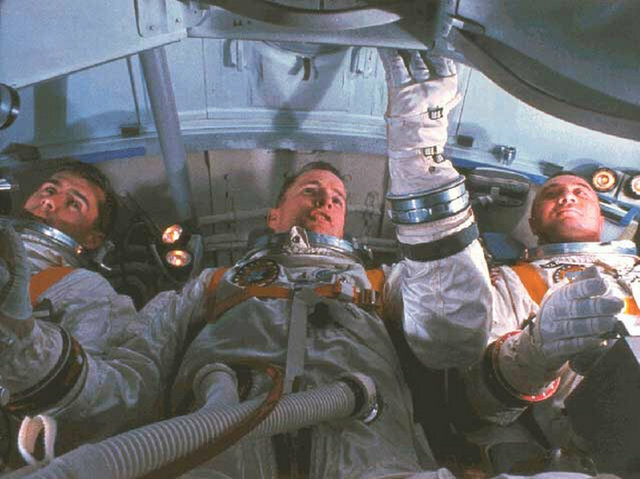 On the day of the launch rehearsal the communication was intermittent to which Gus Grissom responded, “How are we going to get to the Moon if we can’t talk between two or three buildings?”. That was 60 seconds before the 1000 degree fire burned through the command module. Moments after a significant electrical short was recorded. Moments after an astronaut message was garbled as “Hey”, “Break” or “Fire”. And then “I’m reporting a bad fire …. I’m getting out …” and a final scream. The best in mankind comes from the recovery from tragedy. Many of us contend on a daily basis of winning or losing based on “who they know” over “what we know”. It is at the very least, tacit acknowledgement that relationships matter, and at the worst, that relationships trump knowledge. That truly the best job is one that sees only black and white in this multi-colored world. The successful offering will not win by fact alone or respond by gratitude and appreciation. 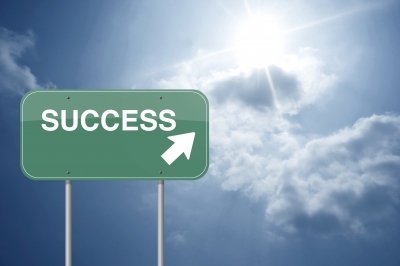 The successful business combines the rapport with the accomplishment, and the offering with the indebtedness. It is walking the line between pounding the engineering hammer and wearing the business hat. Few sales are won without substance, and few projects succeed without communication. It is this combination of business and engineering skills that truly allow a project to start, and ultimately allow a project to succeed. And it is training the engineering staff to look up … and the business staff to follow the details … that wins the day. Paraphrasing the Latin “Cui Bono? Forest fortuna adiuvat”. Who benefits? Fortune favors the brave. How many times have you been given a proposal and your immediate response is to start from the end, wherein lies the omnipresent table of price and schedule. No manner of training can prepare you for appreciating the journey. You search only for the destination, and damn it, if the destination doesn’t match your expectations, the journey is dead. How can a meticulous proposal be differentiated from excessive profiteering? How can you see the worth of a proposal through the forest of trees? The Consulting Company wishes to describe the journey, to name the apparatus that allows the travel, to define the road that led to the destination, and to put the parts together into a comprehensible vehicle. All this while trying to second guess the client’s cost sensitivity and determining whether choosing the color red dooms the project to the recycling bin. One issue is the proposal response is a negotiated response. The client feels the project is fully vetted, and all important aspects of the project have been fully articulated. But the proposal response tries to nuance the parts of the project that have not been expressed. Even on a Requirements Document that has seen repeated review, the actual implementation will absolutely differ from paper design**. As a resume does not fully describe the person, so the proposal does not fully define the Consulting Company. If marketing is involved, … did the software guy say Bud Lite? If it’s a Microsoft Engineer, … none, … redefine DARK as the industry standard. And back to the core question, choosing is never as simple as ensuring all the checkboxes are selected and the final number is within range. The proposal, no matter how meticulous, is never the full answer. For as important as the documents defining the project, equally important is ensuring the structure is solid, that the proposer looks you in the eye, that you kicked the tires. And lastly, don’t get in the car if the journey can not be both profitable and enjoyable. The Software Technology Group has been in business for over 25 years and our credo is, … “if it’s software we can do it“. Our strength is in our ability to take on an assignment and to deliver to our clients’ needs. The way to best show our skills is to take on the responsibilities: from project concept, to project design to project delivery. We are the real deal. 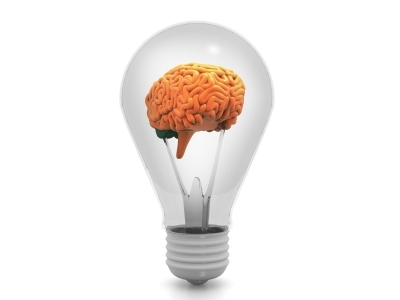 Our intent is to be the technology experts and to bridge the technology gap for our clients. You can be assured that our goal is an engineering driven concept, … to make your project a SUCCESS and to make your road to completion an enjoyable and productive journey.